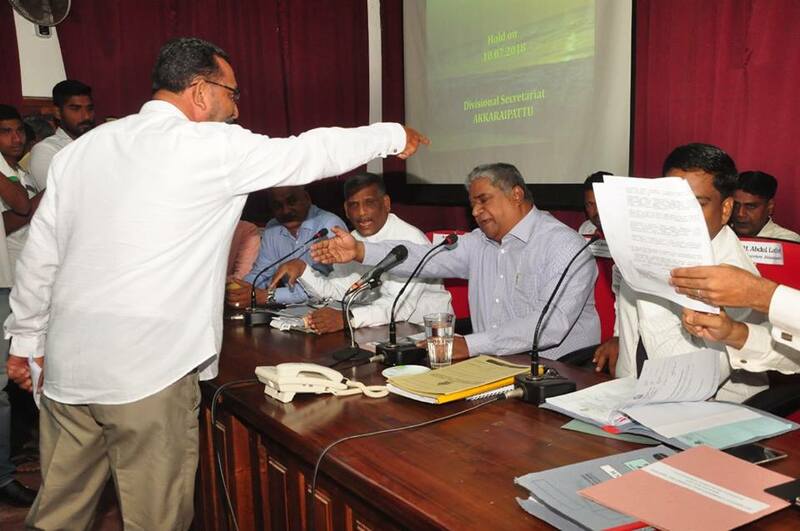 Pottuvil Electorate UNP organizer was appointed as Co Chair-Person to following Akkaraipattu, Aalayadivembu and Pottuvil Divisional Coordinating Committees from 9th of July by the President Secretariat through the request of UNP. Meanwhile the SLMC's Deputy Minister Faizal Cassim M.P informed his aforesaid post will expired on the same date. Over this appointment Srilanka Muslim Congress will expect to leave from UNP because of its recession in Ampara District is continue on against other political parties.